hi tittadili its interesting to see a Ferrari replica on an eclips !! im really looking forward to see your build...but i have some questions about the kit. whats the make of the kit?? is it a Dave Jones?? and if not what is the make?and is the eclips fit to the kit?? ?is it made for it?? This project go on slow, but if I have ready new panels, I updated build diary. I think in Januar ready body kit, in Februar started build. Hi. 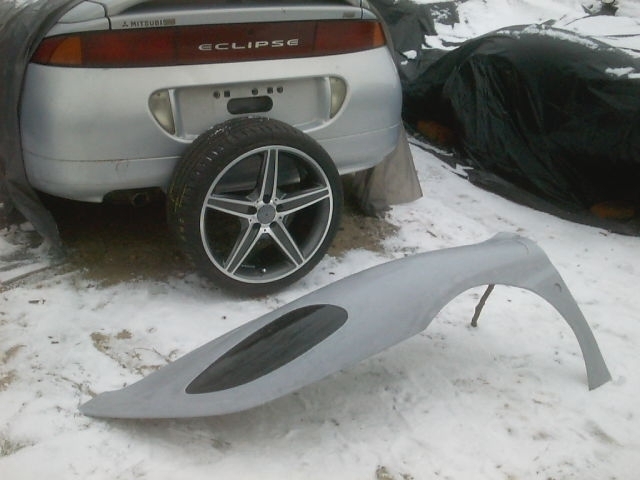 I make this body kit, genuine size, not fit yet on Eclipse. I want modifiy the rear wheel section, /the Eclipse little short, 2510mm wheelbase,/ but total length to stay genuine. Thank you! please keep updating! Can you post a link to your build page so I can see your progress and pictures! f430 coupe replica instead of spyder i'm gonna keep a eye on this build!!! Some day I put new pics. Ready front fenders and mirrors, at the moment I make front bumper.